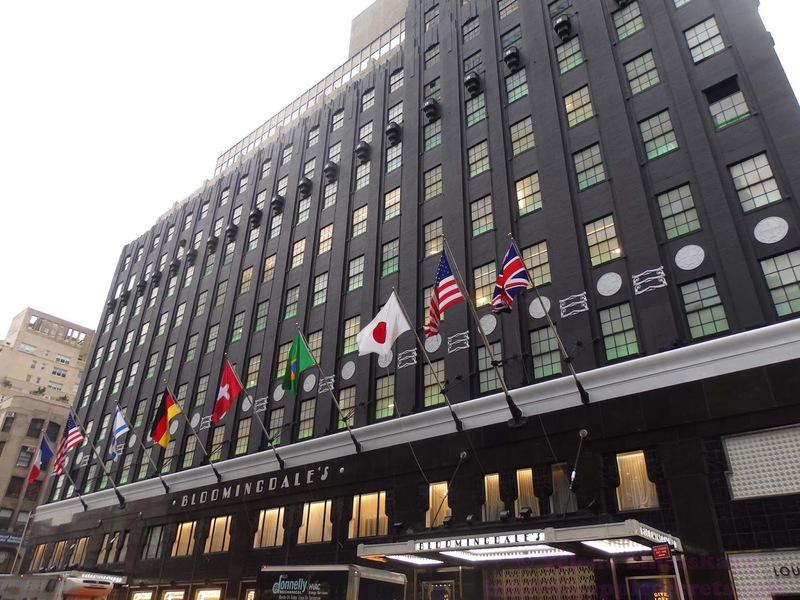 NYC's Bloomingdale's Flagship Store is located on 59th and Lexington Avenue in Midtown, Manhattan. Bloomingdale's is America's only nationwide, full-line, upscale department store. 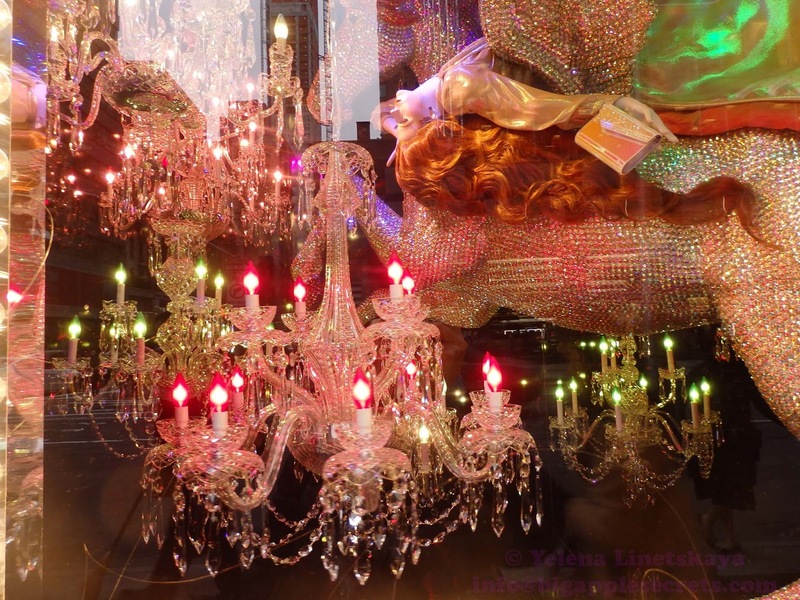 Lyman Bloomingdale first opened the store, Ladies’ Notions Shop, on the Lower East Side with his father selling hoop skirts, a style popularized by Empress Eugénie of France. 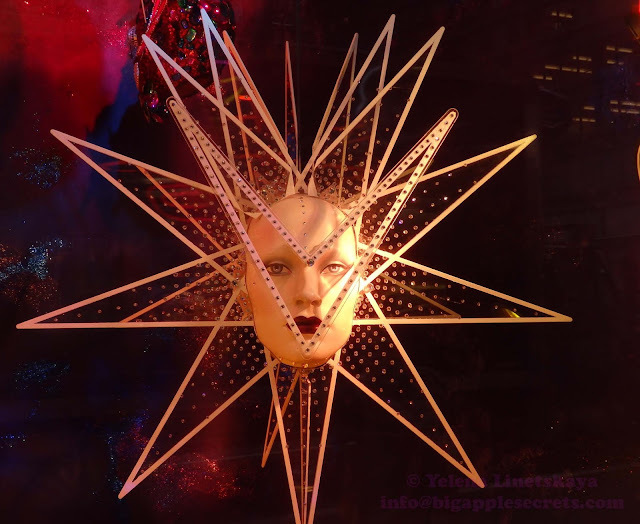 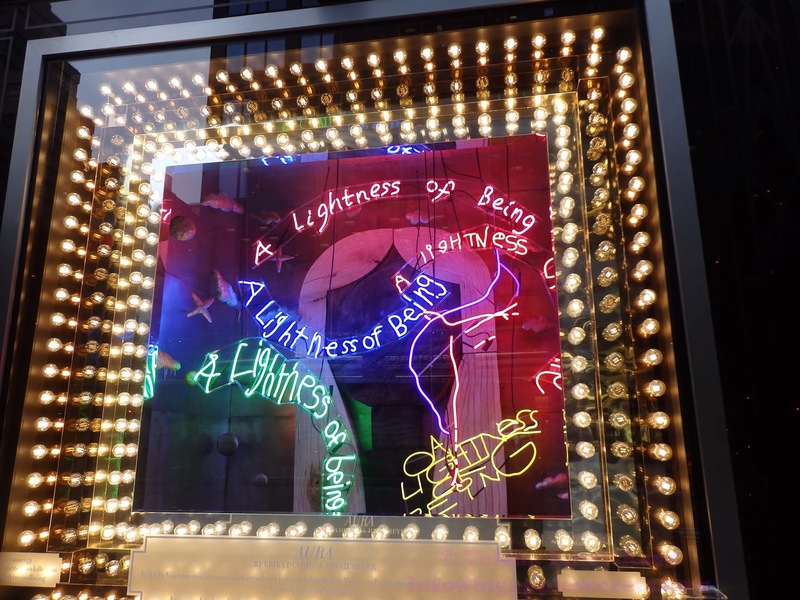 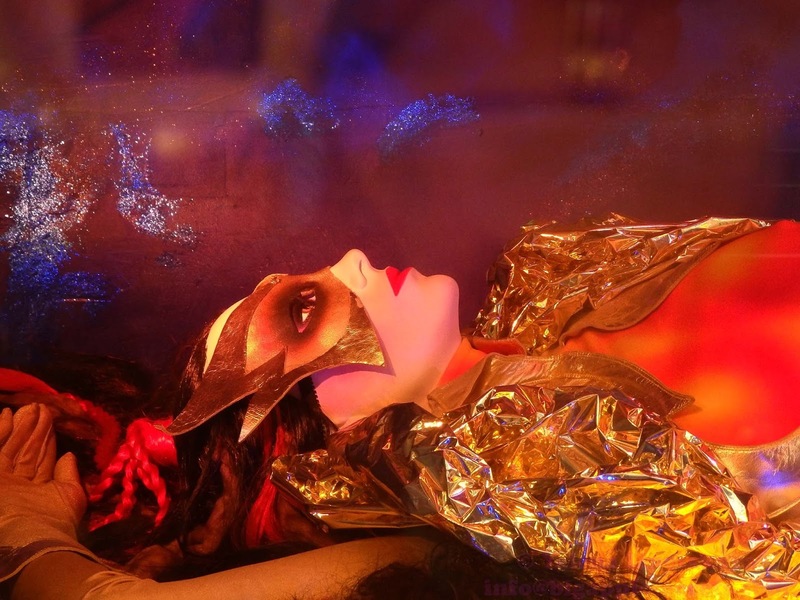 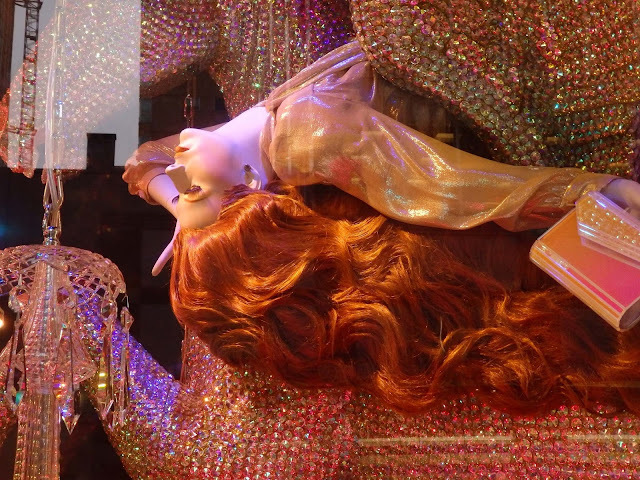 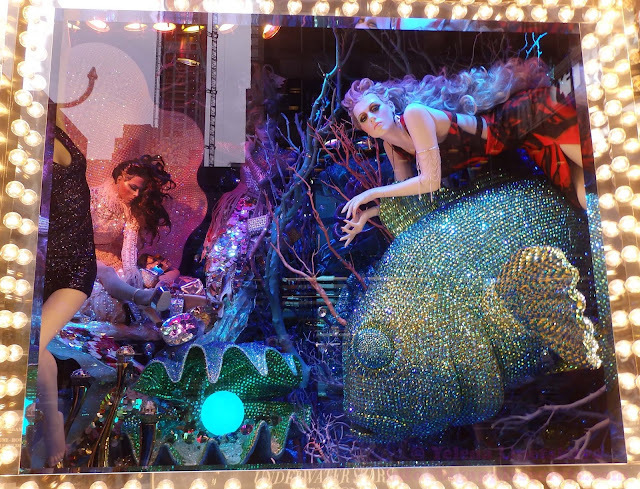 The theme of this year's holiday campaign in Bloomingdale's is light and this is brought to life in the windows. 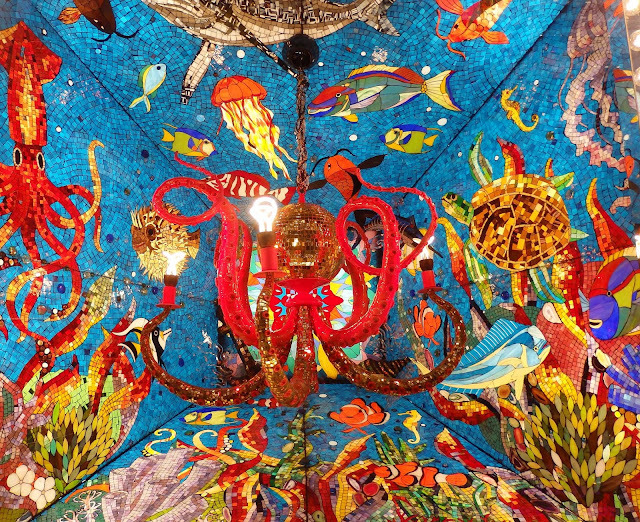 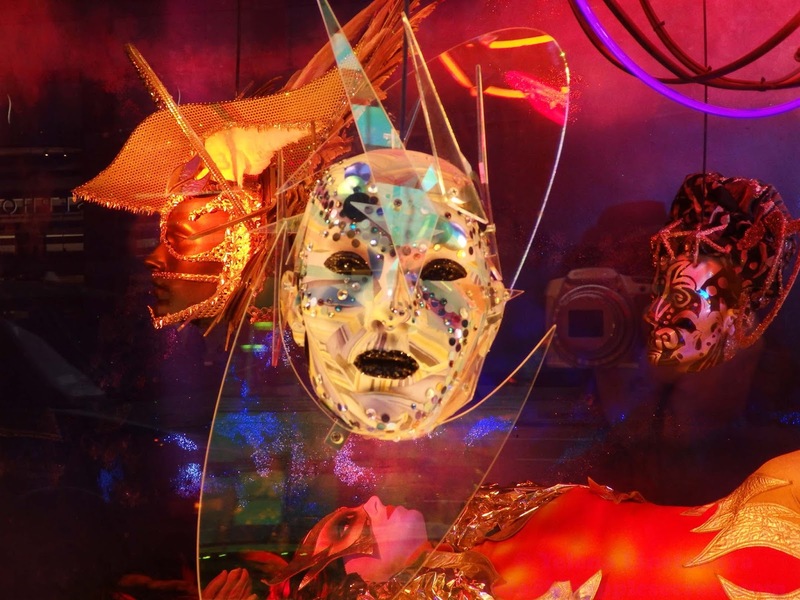 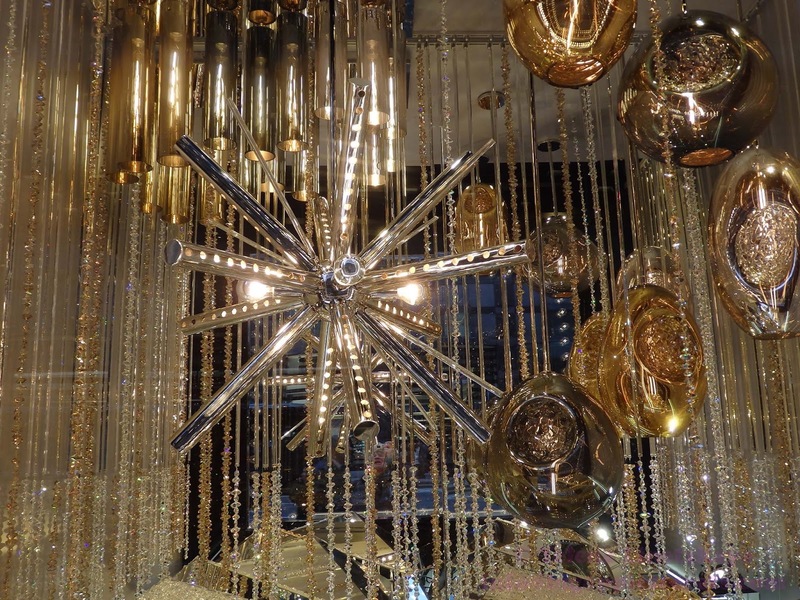 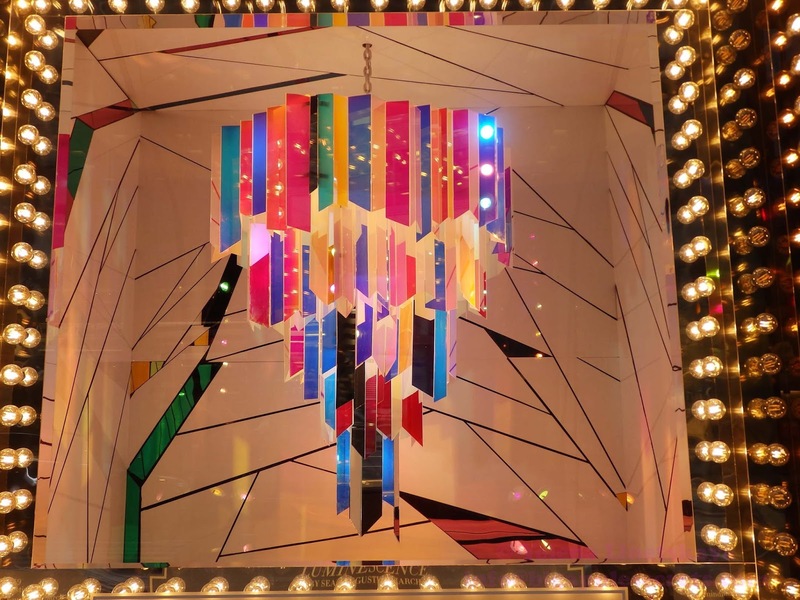 Bloomingdale’s has partnered with a group of visual artists who were each created a one-of-a-kind chandelier. 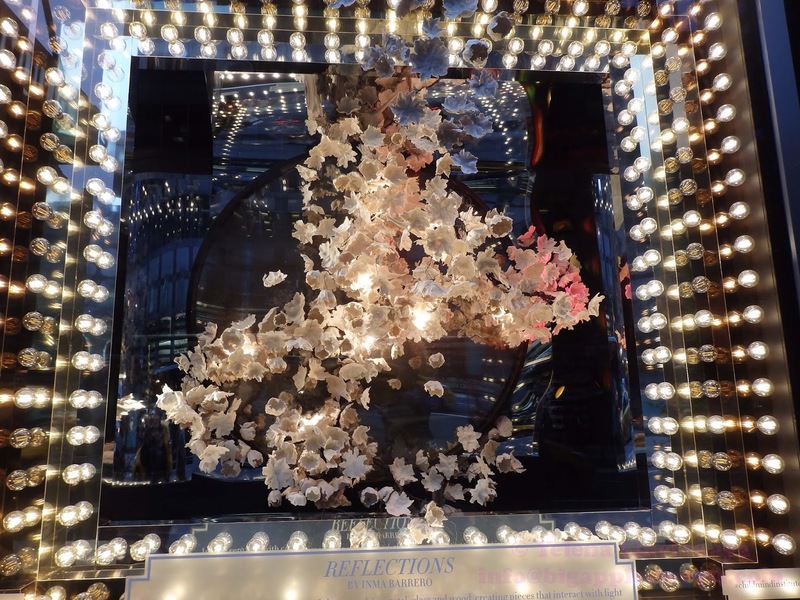 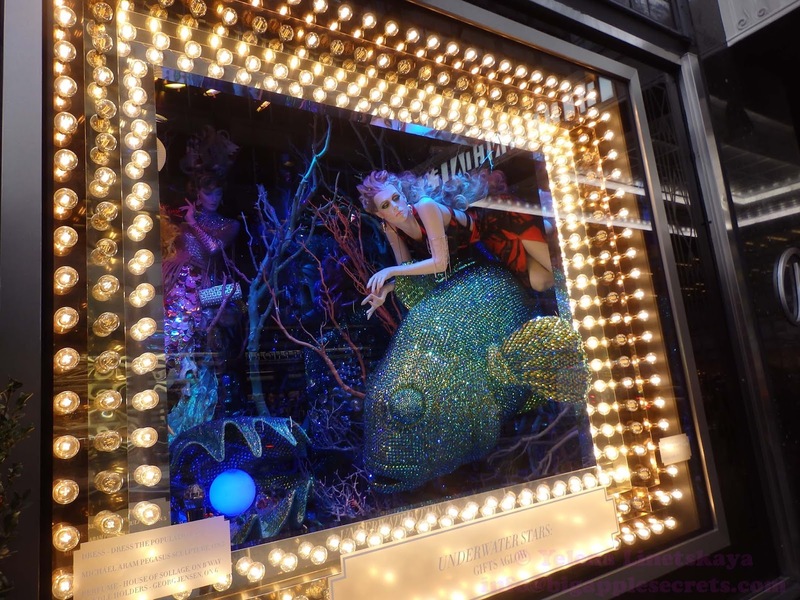 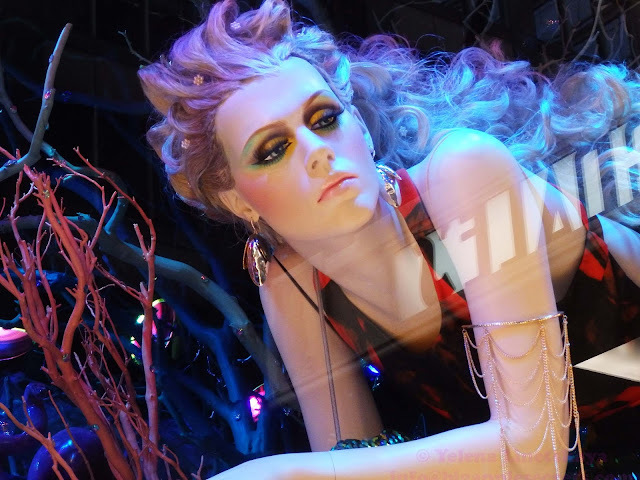 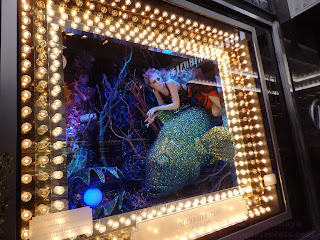 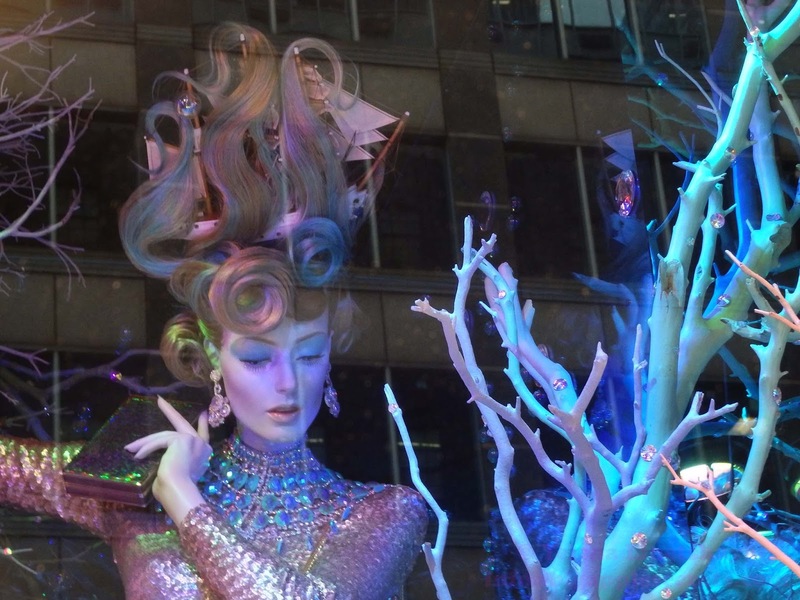 Bloomingdale's takes a philanthropic approach to its windows this year. 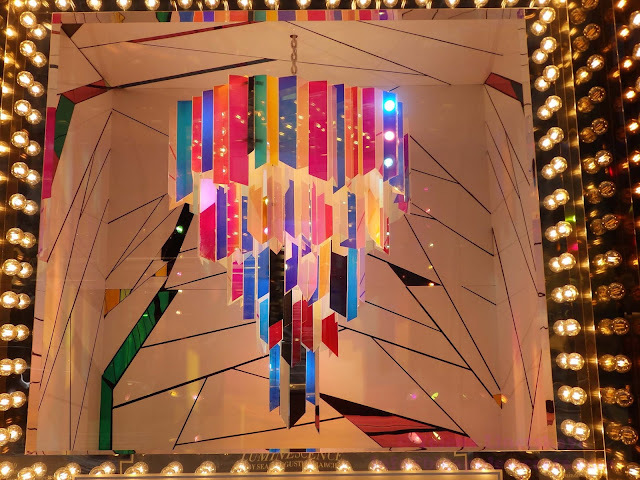 These eight chandeliers, which were commissioned exclusively for Bloomingdale’s, will be auctioned off to benefit the Child Mind Institute.